Julia Cresiun is a full-service Realtor in the York Region and the Greater Toronto Area (GTA). I’m a hard worker, putting clients in front of my needs, generous and charming, easy to interact with. I take my work professionally to be an ethical Realtor with marvelous Real Estate experience, particularly in Residential Resale. I make a connection with clients, making sure I’m always there and ready to aid them anyway. 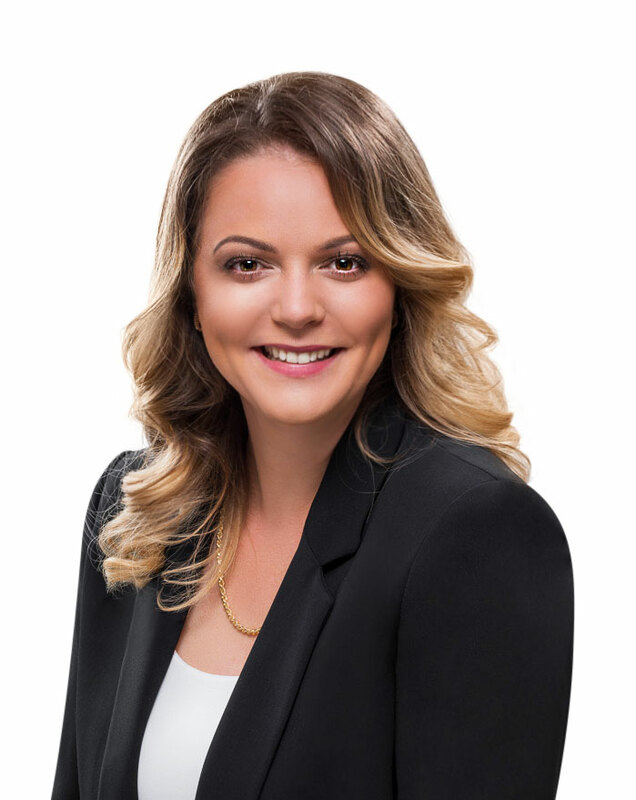 Julia Cresiun’s journey into the real estate business began with a successful career in the legal industry, making Julia a versatile one-two punch as your realtor. Not only can Julia get results, but she can provide extensive consultation on the legal side of a deal—knowing the ins and outs of the legal process. Julia will stop at nothing to protect your best interests whether you’re buying, selling, or renting. With years of sales success and results under her belt, Julia knows just how crucial buying and selling is to every client, as it is one of the largest decisions you’ll ever make. Julia’s careful guidance and tireless dedication proves that representing you is her privilege. With her savvy marketing techniques, ability to leverage the latest in technology, and endless teamwork, she’ll get you the fairest price in the least amount of time when you put your home on the market. And with her limitless resources and knowledge, Julia will do everything to ensure you have the best information and market data, empowering you as a buyer. With Julia, you’ll feel confident and informed, so you can negotiate from a position of strength. Known for her personable attitude towards customers and a unique commitment to client care and service, Julia’s vast experience has given her a sterling reputation in the industry. She’s proven time and time again that she gets both buyers and sellers the results they’re looking for—whether it’s a dream home at the right price or a hassle-free transaction. Clients are comfortable with Julia, and confident in her ability to represent their best interests. She makes it her priority to learn as much about her clients as possible so they’ll get exactly what they’re looking for. Canada is home to some of the most beautiful land Earth has to offer. From the Great Lakes to prairies, we got it all. It’s only understandable that you want to find the most comfortable, form-fitting place, to resign. After all, your house is important since it’s your place to be happy with, to have in your life. Ontario is no exception, especially since it has places like Toronto, right there. Doesn’t matter where in Ontario you are, it’s ideal for families and anyone just starting out on life because it’s not too busy, right in the middle and has anything you would ever want. Canada is known for being great, why not come and get what you’re looking for, there’s something for everyone. It’s full of welcoming people, multiculturalism and, in general, being safe. It’s important to discuss a large purchase such as this, with a professional, to either set a budget, location or what needs to be filled; talking it through and planning is your first step. People rather need help or want to help with anything, it’s best to go with someone who has learned to help others, go with the best- go with someone who knows the in’s and out’s of this big decision. Julia is a great agent to choose from; she is determined to help anyone that comes. She puts clients first, and you’ll be partnering up with a licensed person who puts you first and foremost, provides and works hard on your behalf for the best results. Julia is an exceptional Real Estate Agent, providing the best advice and listens to any worry or problem you may have.